We knew immediately that we wanted Dragon Tides to promote the image of its stars, to have characters at multiple levels, a campaign mode, and action movie flavor. With these objectives in place, we developed a core engine that would support them. Our next step was to flesh out this core engine by differentiating its major characters. The Dragon Tides core set features eight major characters. Each one should have a distinctive feel when you play it. We focused on two ways to differentiate the characters. The first was by varying their statistics. The second was through Signature Moves. There are four Stats in Dragon Tides — Strike, Throw, Grapple, and Move. The first three are different attack styles. The last is the number of spaces a character can move on its turn. Differentiating characters by adjusting their Stats is a venerable approach which we employed vigorously. Bruce Lee, being a man who incorporated several styles into his own, was deemed to be completely balanced. He was assigned even scores across the line. Goliath is a thick, beefy, wrestling master. He got a high rating in Grapple but low Move. Luke Elba practices Capoeira, the acrobatic Brazilian martial art. For him, Move was the primary rating. Adjusting Stats gave us one form of differentiation but we wanted more. This was where Signature Moves came in. Alex Lim of Artistic Justice Games had again laid a foundation for us here. His initial concept for the game featured a selection of special move cards. We built on this idea. Under our system, each character has a unique mix of signature moves. Much like the powers in Sentinel Tactics, these signature moves give each character its own flair. Brandon Lee was written to be a defensive character in the game and got Back to the Wall–a posture that boosts his defense dramatically when he’s cornered. Ivan Castle is a fighter from the streets. His moves include Slam to the Ground–When Ivan Castle throws someone, they know it! Train Wong is quick and slippery. Agile Like The Monkey shows this by letting him move after striking. Each character can only have a single signature move into play at a time. Will you be defensive, or you press the attack? Will you use the Hidden Dragon technique, or will you draw your pistol? Tricky decisions for your players mean engaging gameplay for the designer. An action movie would be pretty dull if its hero used the same moves every turn. Our game is no different. Each character must change its signature move each turn. This both ensures varied interactions between characters and that players must constantly look for new ways to adapt to changing circumstances. Good stuff. Our next post delves into the things that fill the game world–obstacles, items and objects. Come by and see how an action movie character interacts with its environment. See you then! What do you think of the signature move system in Dragon Tides? What other games used this approach? Which ones used them best? Why? Share with your fellow readers in the comments below. And if you’re enjoying what you’re reading, create an account with WordPress and follow this blog. If you keep reading, I’ll keep writing. Protospiel Houston (March 13 – 15) is only is five weeks away and Protospiel Milwaukee is just one little month behind it. Designers–aspiring or otherwise–five hundred miles in every direction are scrambling to prep that game that just almost ALMOST works and get it in front of the crowd with the skill to push it through. Successful playtesting comes in three parts–good preparation, good execution, and good resolution. Last Friday’s column focused on questions of preparation. Spare game parts so you can make changes to the game on the fly. Carl also mentioned that The Game Crafter brings prototyping materials to Protospiels in the Midwest. This is a class move on their part. If you have a chance, make sure to thank those guys for doing your fellow designers a solid. Now let’s move our focus on to execution–what will you do during the event. How do I keep someone from stealing my idea? Should I have my playtesters fill out NDAs? What if a publisher asks me to sign a NDA or similar release form? Does my game have to be finished? How close to being finished does it have to be? Game designs are meant to be tested. Get your ideas on the table. Do it every chance you get. Make new chances and test it then too. Denying your design table time will delay its development and nothing more. Is there anything I should tell my playtesters before we start? What sort of questions should I ask my playtesters? Should I playtest a prototype the same way I’d play a published game? What if they don’t like my game? What if I dislike their game? What if I love their game? Providing constructive feedback to a game you adore can often be harder than providing it for a game you hate. Do your best. Remember that the designer depends on you to describe exactly what you liked about her game, again being as specific as possible about your emotional and intellectual response. At any playtesting session, try to keep your mind on constructive feedback. What do I do if the game is bad and its really long? Is it bad form to gnaw my arm off so I can get away? 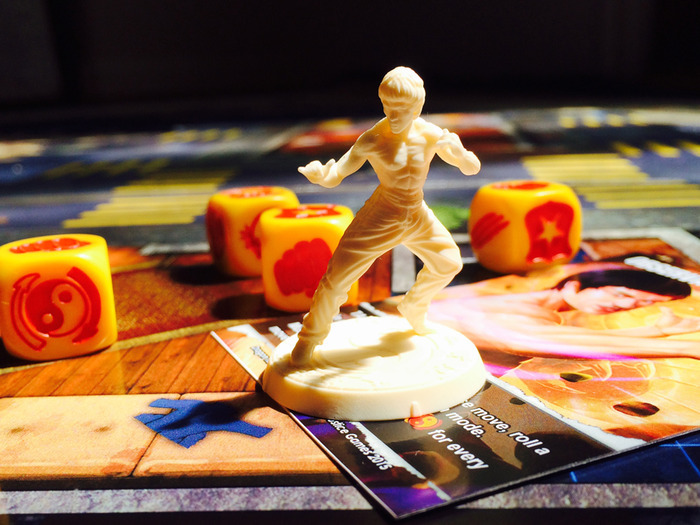 Our next set of questions cover the take-away–what to do after the playtesting ends. See you Friday!